A government insured mortgage loan with low down-payment option and flexible credit qualification criteria. First time home buyer grant offered by state of Missouri often used with FHA and conventional mortgages. A conventional or FHA loan that finances allowable renovation costs along with a new home purchase or refinance. A no down-payment loan guaranteed by United States Department of Agriculture for homes in qualified rural areas. A no down-payment and no monthly mortgage insurance loan guaranteed by Department of Veterans for qualified military personnel. A mortgage offered by private investors with as low as 3% down-payment and variety of options for mortgage insurance. Mortgage loans that exceed the area conforming limits offered by private investors and with as low as 10% down-payment. Refinancing can help home owners in many different ways to save money, loan interest or use their equity to pay off other debts. Still wondering what type of loan program is right for you? Patrica at USA mortgage went above and beyond helping me through the home loan process. She always answered my call or got back to me very quickly. I was always kept informed where I was in the home loan process. I definitely recommend USA mortgage and especially Patricia. I was very pleased with my experience at USA Mortgage. My loan officer and his staff were incredibly helpful throughout the whole process. They went above and beyond to ensure I was taken care of every step of the way. I highly recommend USA Mortgage to anyone looking to buy your future home! Robert Peery gave me courteous service and helpful advice throughout the mortgage lending process. I was approved for a mortgage refinance loan on my condominium and also a mortgage loan on a new home at a lower interest rate than I was paying before. Thank you USA Mortgage for making the second home that I bought a really pleasant experience. I enjoyed working with my real estate agent Patty, too. Michael and Dana went above and beyond for my family. They made the purchase of our first house happen even after being turned away from other lenders. Quick to respond to any questions even after business hours. I can never thank them enough. Highly recommended!! USA Mortgage Michael Vanella is the BEST. He is great at getting the loan you need for you home. Our loan officer Michael talked us through every step and informed us of any changes that was coming. The communication was great with everyone that I work with at USA Mortgage. I would recommend them to anyone that is looking to buy a home. 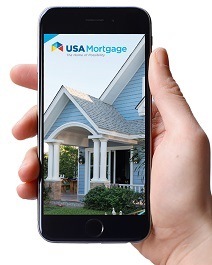 I can't be happier with the service I received from Michael at USA Mortgage! He took care of everything for me, even finding home owners insurance for me. I work an odd schedule so it's not easy to contact people or keep in touch, but that was no problem with Michael. He really made the whole process very easy. I would definitely recommend him. Justin Lackey with USA Mortgage in Columbia, MO was great to work with on financing a new house for us. Great customer service and very knowledgeable about the whole process. He made it fast and easy. We have not found our perfect house yet but Justin has been very patient with us and has answered all of our questions. I would not hesitate to refer him to all of our family and friends. We began this process in January 2018, and I am set to close in less than a week. Michael was great to work with for purchasing my first home. He is very thorough with information and he replies quickly. He stays in touch often to keep you updated on everything in the process. I would highly recommend him to anyone I know who is thinking of buying a home. I've spoke with other lenders in town prior to meeting with USA mortgage. I can say I've had the best experience here and with Lane as our loan provider he is the best. He walked ud through everything and answered any questions we had and gave us insight. He guided us through the entire process. I highly recommend Lane! Michael Vanella and the team at USA Mortgage helped us to obtain the loan we wanted with the timing we needed as well. I really appreciated his down to earth communication style, and no question was “too dumb” to ask. He always got back to us in a timely manner and patiently explained the ins and outs of our loan situation. Justin and Dana are great people to go through for all of your home buying needs! 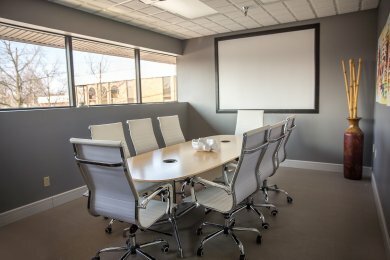 They work with you to get things done in a timely manner and they’re experts at what they do. I’d recommend them to anyone! Working with Michael at USA Mortgage has been a great experience. He answered our questions in a timely manner day or night and helped calm our fears during the ho e purchasing process. I would recommend him and USA Mortgage 100% to anyone who is looking for any of their home financing needs. At first I wasn’t sure if I was ready to buy a house. It seemed too complicated and I didn’t think it was the right time. Thankfully, Justin Lackey helped me through the process step by step the entire time. He was very patient and dedicated to customer satisfaction. I am now a proud homeowner thanks to Mr. Lackey and USA mortgage and do not regret it one bit. If you are in search of a home loan, I highly recommend going through him (or anyone else at USA Mortgage for that matter). Everyone there is highly professional and easy to work with. Justin Lackey was extremely easy to work with. He shows a great level of compassion. He is extremely personable and professional. I would recommend him for a first time home buyer or anyone who has any mortgage needs. Top notch professional!!!! Casey worked with us every step of the way. Was great at explaining the whole process to us and our best options. He always got back to us with a text or a call very quickly. I wasn’t even sure I was able to get a house. But after talking with Casey I was able to get my credit score to jump 150 points in three months. Enabling us to get a FHA loan. Meeting Justin Lackey has been one of the best experiences. He is very knowledgeable about the business which shows he really cares about the company as well as his clients. He's so personable that he makes you feel like you have known him for years and always has a smile on his face. He can help with any and all questions you may have while giving you a very detailed answer. I will definitely recommend Justin to anyone that is looking to purchase a home. We recently purchased a new home and worked with Patricia Bonuchi. She was great to work with! She made us feel comfortable in asking any questions we had. She went above and beyond for us coming to our work or home to get things signed or to have a quick meeting with us to explain the process. Patricia is knowledgeable, helpful and efficient. She was an invaluable asset to our home buying process. Go see Patricia! Jim was great to work with! He really made the home buying experience easy. He was very quick with keeping me up to date on everything and letting me know what needed done so I could close on time. He made the whole home buying experience very pleasant! Justin Lackey is very impressive & talented guy. He carries the confidence, knowledge, and drive that we as consumers need when making big or little decisions. He is a genuinely helping hand that will go above and beyond to make sure his customer service has achieved 100% satisfaction. Highly recommended! Casey is terrific to work with, and I've used him buy two different homes. One of the homes was in Columbia and the other from KC and both times he went above and beyond with helping me. He's friendly, helpful, and quick to respond. I would highly recommend Casey to anyone looking for a caring individual to help them through the home mortgage process! Michael was fantastic to work with! He was always available via text, call, or email to answer any of our questions and if he didn't know the answer, he would find out in a timely manner. Being a first time home buyer is intimidating and Michael made this process a breeze. I would definitely recommend him and his coworkers to any friends or family of mine! Our mission is the unrelenting pursuit of perfection, and we pride ourselves on the lending excellence and the superior level of service that our status as a mortgage bank enables us to provide. USA Mortgage is a full service mortgage bank. This means that We will see you through all aspects of the loan process from the time you meet one of our mortgage professionals to the day you sit at the closing table, and ultimately fund your loan with its own money—no waiting for the corporate bigwigs halfway across the country to cut your check! To borrowers and Realtors©, being a mortgage bank means you can expect a home financing experience free of hassles and headaches. Complete control means having in-house operations such as processing, underwriting, closing and funding. As our underwriters are reviewing the files, they may require additional information. The housing market is changing quickly and this will add more guidelines and new documents to our lending department. We will be in touch with you regarding these conditions required. The goal is to get these back to the underwriting ASAP. USA Mortgage is a local mortgage banker in Columbia, MO. We offer a large line of home loans such as FHA, USDA, MHDC and VA loans with competitive rates. Here at USA Mortgage's Columbia, Missouri branch we follow a very organized and stable system to achieve the best results for you. We have created a routine on every file to be very efficient and accurate for your benefit. We don’t hold normal banker’s hours because we understand our clients have busy lives and schedules to maintain. One of our licensed mortgage bankers will always be available on weekends and after hours to assist you with all your needs. There are many options out there for home financing, our number one goal and priority is to find the best options and direction that fits your financial goals. Even if you don’t qualify at the time of application, we make sure to advice with the right steps to take. Buying a home is one of the most important purchases of our client’s lives, so we streamline the process to offer the lowest mortgage rates in the state of Missouri. Also provide the best terms and fees to save you money short and long term. Check out our free informational download. This download is full of useful information such as mortgage termanology and loan summaries. You can even print it out! Ready to get started? We are ready when you are.